So… it’s your job to get together your organisation’s exhibit for the trade show? Sounds stressful – but it doesn’t have to be if you team up with Toucan Display Solutions. Let us take the worry out of your next exhibition or trade show. 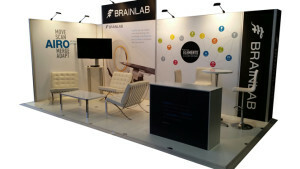 Toucan Display Solutions is one of Australia’s leaders in the field of professional exhibitions and displays. With access to the world’s most impressive modular exhibitions solutions, Toucan can make you and your organisation look sensational. A creative custom designed display can give your company a professional image and a sales edge that sets you apart from your competitors. Toucan can design, install and co-ordinate your exhibition needs and will give you support during the show right through to the dismantle stage. Wavewall, Ezy Fit, and AMES systems can all be supplied on a hire basis to create a highly professional but affordable exhibition stand. For smaller events and art shows Toucan can supply fabric covered Conference Panels (2m high x 1m wide), with optional lighting and gallery hanging systems.